*This post contains affiliate links. You may view my policies here. Thank you Ruthie for hopping over to share all about having a thriving summer with active children. Ruthie is one of those women that every young mom needs in their life. I am grateful for her mentorship, even from across the miles. Her advice for summertime is like gold- read it mamas! 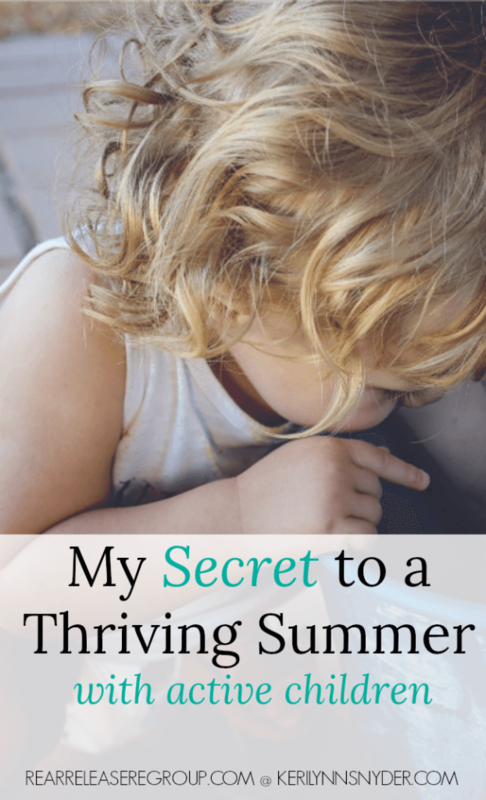 Years ago, as a young mom of four, I figured out the secret to a thriving summer with active children! There’s only one thing that keeps kids occupied for long periods of time in the summer and that’s – you guessed it – water activities. Actually, there are two more things. Snacks and friends. So – water, snacks, and friends. Water + snacks + friends + mommy friends = Serenity Now. Ok, maybe not exactly serenity, but most certainly summer sanity! Here’s a routine to help make pool time possible. It worked for me – in fact we had it down to a science because kids are motivated by water fun! Make beds, brush teeth, care for pets, sweep, dust, clean rooms, and prep for any evening activities. Use a small cooler like this one – be sure to add an ice pack. Fill with water, fruit, sandwiches (kids can help make them), and even microwave popcorn (a cheap and easy treat)! Go ahead and do it right before you head out the door – that way the kids can run free as soon as you arrive and they’re not all up in your grill because, “You said I could be first this time!” (Eye roll.) With active children, you need to be thinking a little head. At the beginning of summer, I took my kids beach towel shopping and let them each choose their own. This way they never forgot their towels because they liked them! Again, teamwork. Don’t let the little boogers get away without helping with the cooler, sunscreen, and Cars 3 swimmies. You don’t have to entertain them every second this summer! Encourage play with others – it’s good for your active children to have space from you, and you to have some actual adult convo or reading time. I’m not even kidding. Try not to load up the kid’s schedules so much that you don’t have any down time. Summer is for firefly catching, grass rolling, and lazy-dazing. Let your kids be kids and give yourself a break! So you got your adult fix at the pool. Now it’s family time. Put down the phone, watch them play outside, or read to them from the porch swing. Summer evenings are for creating special memories you’ll savor long after the sun goes down and the years have flown. I literally went to the pool every day. Ours was 10 minutes from home and I paid the (extremely low) fee each summer. You may think I’m a little overboard with #7 and maybe (selfishly) unbalanced. Here’s the deal – if you have more than one kid and their kids have friends, they can play together. If you’re doing number ten, you’re still connecting with your kid. But mama needs boundaries and friend time too. Especially if mama wants to thrive this summer. Let your kids enjoy summertime at the pool. Make it a team effort and explain when everyone pitches in, everyone gets to have water time. Trust me – your kids will enjoy summer more and so will you! Ruthie Gray is a wife, mom of four, Gigi, and caregiver, living in the sandwich generation and blogging to keep her sanity. When she’s not snacking on plastic drumsticks with The Tiny Tornado or snuggling Baby Cakes (her grandbabies), you can find her coaching young moms to capture joy in parenting at Rear Release Regroup. 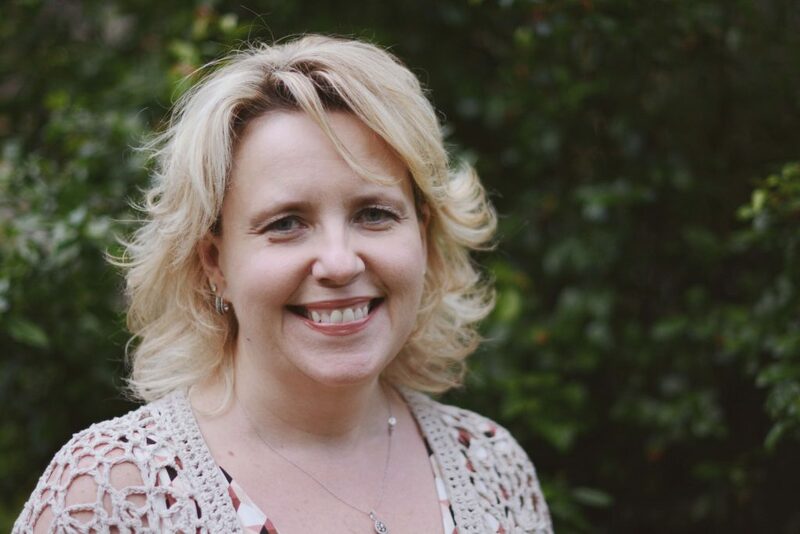 Ruthie is the author of Count to Nine: 9 Liberating Steps for Mom Frustration and Anger. Click to download her Wife and Mommy Survival Kit here. Yes!!! We love our kiddie pool- it makes the days so fun! That’s so great Anne! Sounds like some tricky weather!!! This is such a great tip! We need to get outside and do more water activities! It’s a little hard to juggle a 4 and 2 year old at the pool by myself so we tend to stick with splash pads and water table activities if the hubby is at work. Hoping next summer will be easier to manage them at the pool! Yes! Just this year the pool was easier for us! My boys are 8 and 5 and daughter is 3 so feel less stressed! We love our little pool in backyard though! This is SO true! I have found that bringing my toddler to the pool 3-5 times a week has been great for us both this summer! We spend time together and practice her newly acquired swimming skills, of course. However, the activity and being outdoors is just what she needs to burn off the intense energy that only toddlers have. It is amazing! So true Brittany! It definitely helps make a difference! I love this! So simple but who doesn’t love going to the pool! Summer does not need to be filled with a crazy amount of things, making our lives more complicated. Keep it simple- that is my motto! This is so true! We have filled our summer with days at the pool or the golf course. Now that my kids are older they are on a swim team and they practice 3 days a week. It has been wonderful exercise for them! That is so neat Lexi! I bet they love it! So grateful that the community where I live has a little pool. It gets so hot here in Texas that a pool is the only reason I want to be outdoors sometimes. I have so many fun memories of pool time as a child too! That is so fun! We live in an older neighborhood so no pool, but we do have lots of friends who invite us to their pools thankfully! Yes the pool is a must to help time pass quickly, keep cool, and make fun lasting memories with the kiddos! Definitely! Especially when it is so hot! Going to our community pool is 100% how I’m surviving summer with a toddler! We can walk to ours, and we do all the stuff you said like pack snacks…the only difference is I can’t bring a book and chill since my little guy’s so young 😉 I’m jealous you can! I look forward to the days of relaxing at the pool as well! Ruthie gives us hope! It is getting a little easier now that the kids are 8, 5, and 3 but I still have to be very focused on them! hahah! Fun to be able to go to a pool every day! I loved having you here! You are always full of so much wisdom!